Saxena A. Research ethics. Paper presented at: Geneva Workshop 2015. 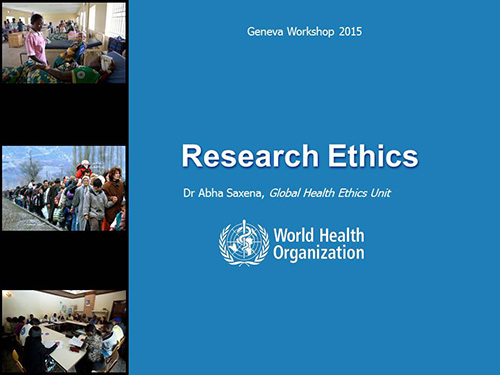 Training Course in Sexual and Reproductive Health Research; 2015 Sep 14; Geneva.